Reverse mortgage firms have had to find new ways to adapt to the realities of business, particularly in the wake of highly influential changes to principal limit factors (PLFs) handed down by the Department of Housing and Urban Development (HUD) in October of 2017. While some are focused more squarely on innovating ways to conduct reverse business, other firms are choosing to expand their offerings beyond reverse mortgages and widen their umbrella to include traditional, forward mortgages. “I have a background in forward mortgages, and didn’t feel there was really a need to get into forward mortgages up until the October 2nd  changes,” said Michael Mazursky, who recently acquired iReverse Home Loans based out of Southern California. “My feeling was that with the reduced PLFs that more people would not qualify for reverse, so I thought that there should be another option that iReverse can offer our senior clients that may not qualify for a reverse product,” he said. Moving into the forward space will require some additional needs for adaptation at iReverse, Mazursky said, because a lot of the current roster of loan officers are primarily focused on the reverse product. In the case of iReverse, Mazursky says that a lot of this shift is squarely focused on the company helping its primary client profile: seniors. So, while the forward mortgage space generally has a broader demographic base, iReverse plans on focusing both their reverse and future forward offerings on the demographic they have the most experience with. “The senior is our client. 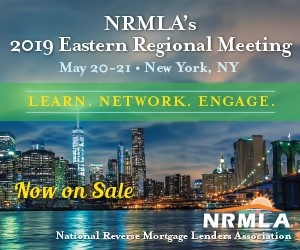 […] If we can help them still with a traditional mortgage, then I think that is something that our loan officers should be able to provide other options for,” he said. While traditional mortgages won’t reorient the company’s primary source of business, having the option to offer them will still allow iReverse to use its expertise with seniors to offer something more specifically tailored for them. “There’s no reason not to do it,” Mazursky said. In terms of any new requirements that could be placed on iReverse’s team of loan officers, Mazursky shared that he doesn’t plan on dictating where an employee will be operating and is far more interested in offering a choice. As far as difficulties Mazursky foresees in terms of transitioning into forward business, he identified one obvious problem that he anticipates having to deal with in some way. As for a timetable relating to iReverse’s move into the forward space, Mazursky said that they’ve basically already begun. “We’ve been set up with some wholesale lenders on the traditional mortgage side, so we’ve already been closing traditional mortgages since October 2nd,” he said.